THIS IS NOT A PROJECT BOAT. IT IS A TERRIFIC VALUE AT THIS PRICE AND IS READY TO GO! 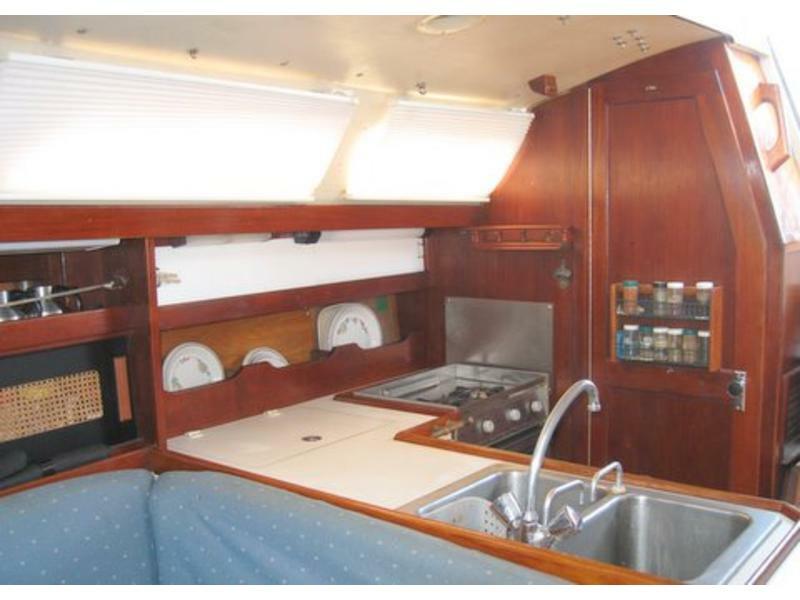 C 34 offers an aft cabin w/ large double berth, hanging locker two opening ports. Lg. storage space under cabin seat. Forward: main salon with U shaped settee w/ dining table converts to double bed. 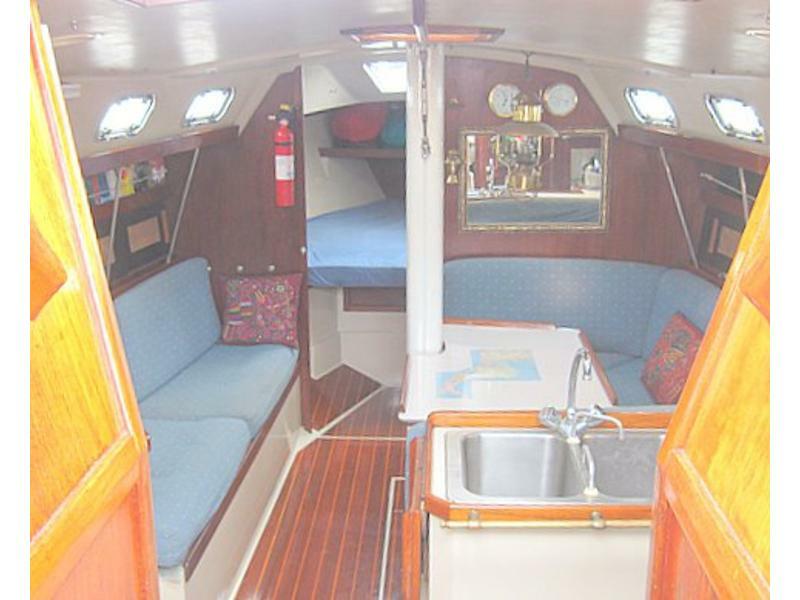 Opposite settee,also a single berth. Salon has 4 opening ports, center hatch Upgraded lighting. Teak/holly sole throughout. GALLEY: starboard entering main cabin. Dbl s/s sink, frig, propane stove/oven exc. counter space.Sm. fold up table end of counter as additional work space. 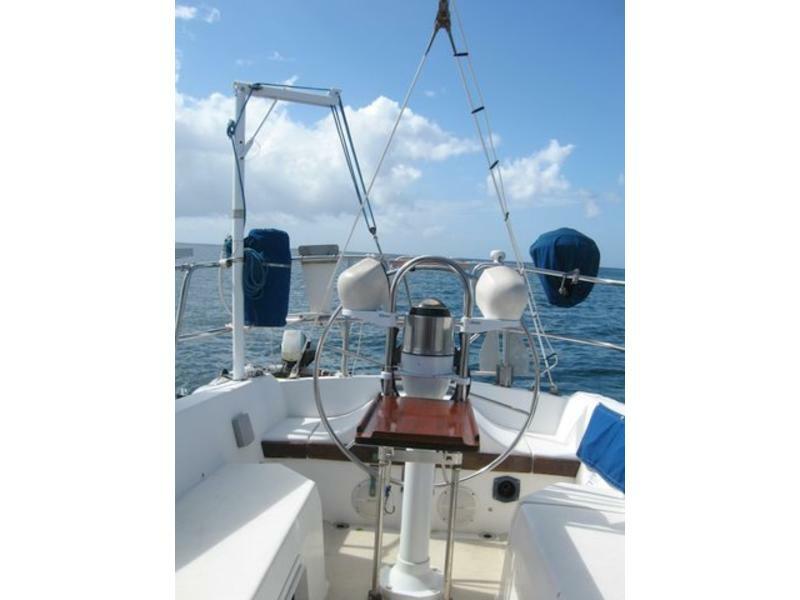 Nav station to port/ access to electrical panel, radios, battery monitor. Enclosed head w/shower, storage areas added. 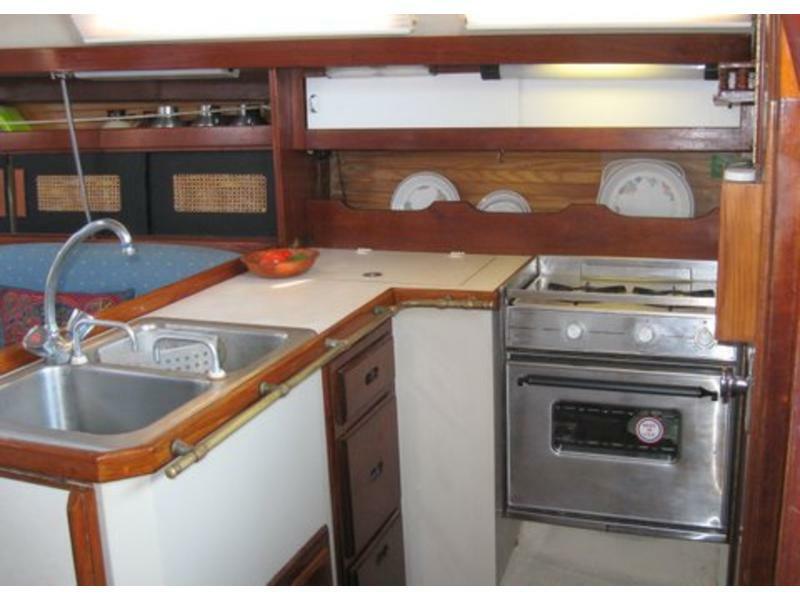 FORWARD CABIN: roomy v berth/ lG overhead hatch, 2 opening ports, hanging locker, drawer/shelf storage. Large storage area under v-berth. Copy/paste website below to your browser for full ad & photos. Bottom professionally painted Jan. 2009. Interior/ exterior surfaces routinely maintained and in very good condition. INCLUDED:cookware, dishes, life jackets, flares, dozens of spare parts, s/s fittings, tools, electrical parts, etc. 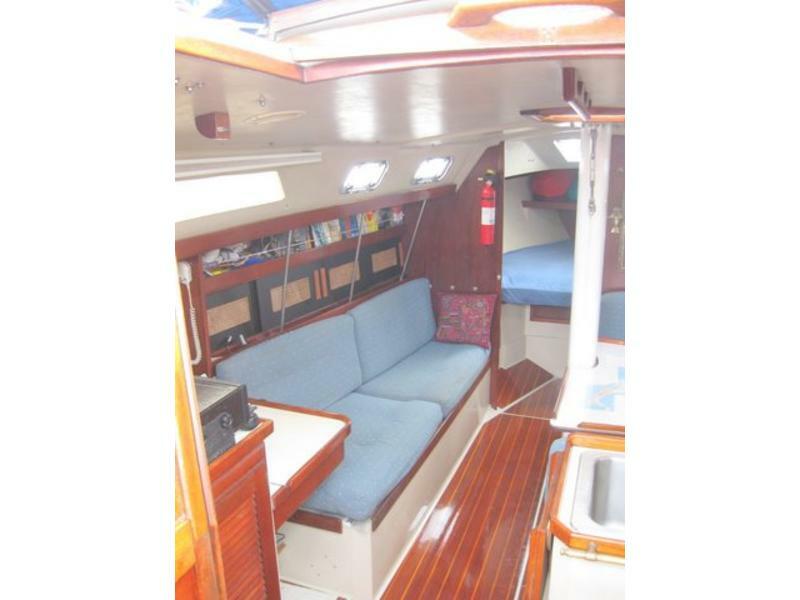 This boat is a terrific value at this price and is ready now for you to cruise!! AND it’s already in the Caribbean! SOLAR PANELS: 2 -55 Watt Seimens, controller. 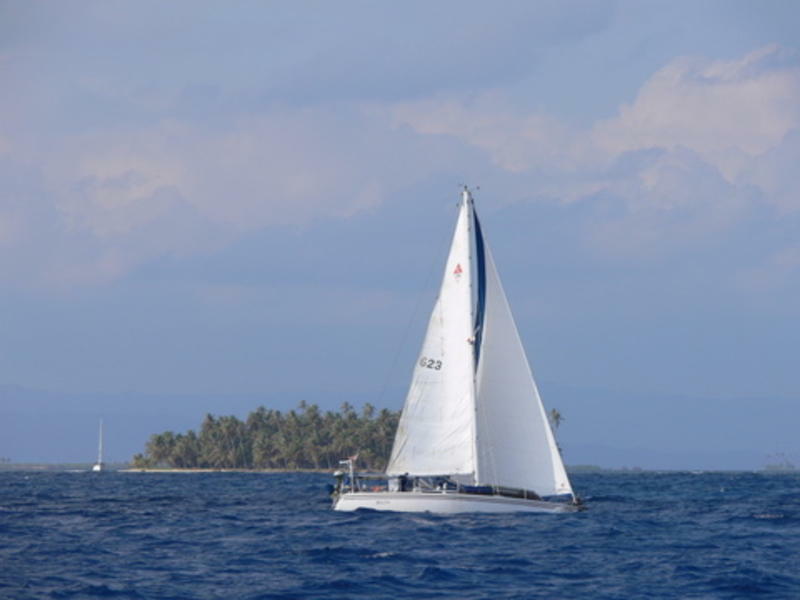 Full batten Main/Dutchman self-flaking system.